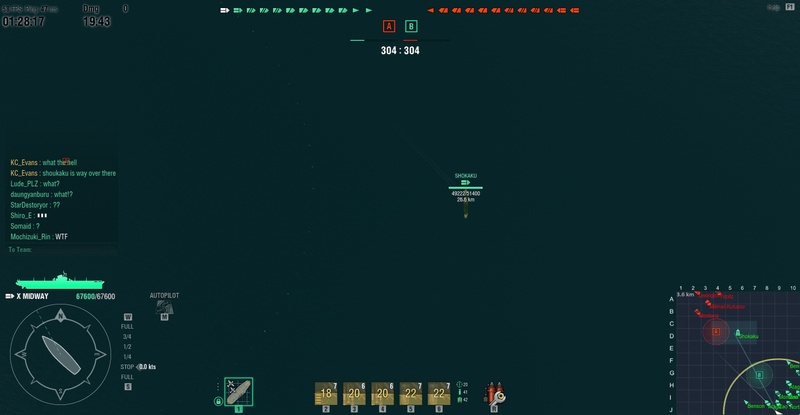 [Bug] Red (Enemy) ship spawning close to green spawn on Ocean. Issue: Enemy ship spawns right next to our spawn on ocean. Ship: Zuihou ( I was in Omaha). Occurrences: Currently only observed once. Tested: Unable to forcefully reproduce. I've seen this bug occur at least 2 times before as well. I don't have any screenshots, unfortunately. Just part of the Karma systems... Karma for playing carriers. 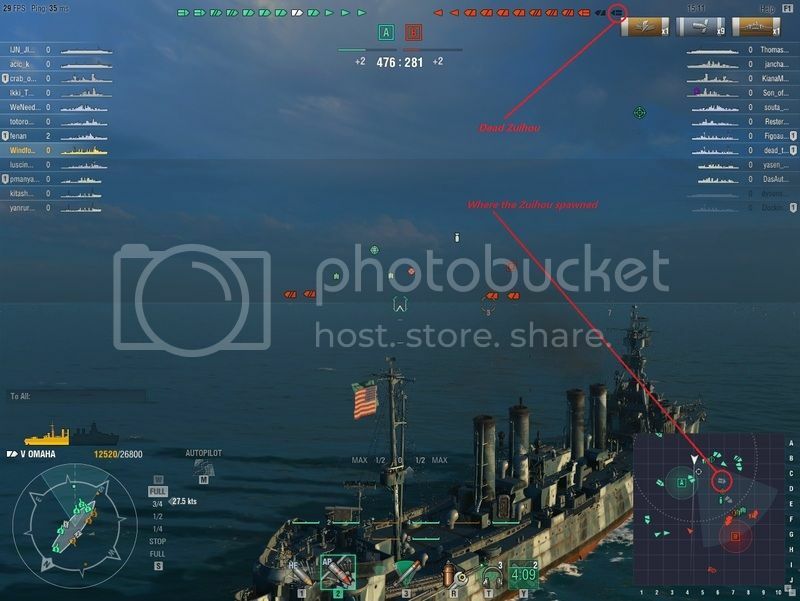 Apparently, playing carrier is a crime.